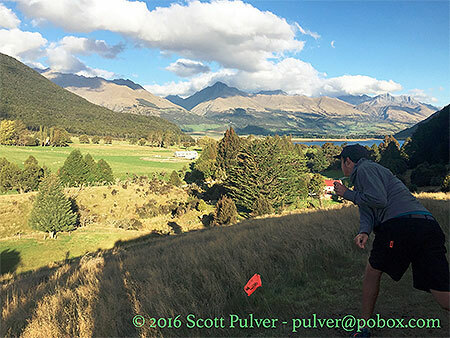 The 21st Annual The Helicopter Line Queenstown Classic Disc Golf Tournament took place in the Queenstown Gardens on Saturday 2nd of April, 2016. 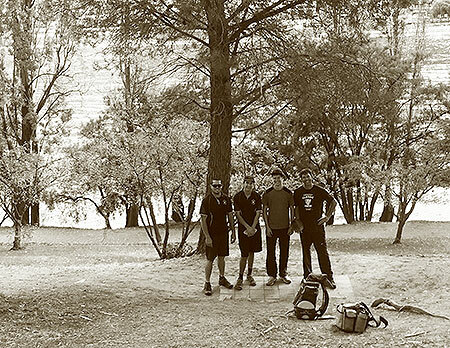 The Dart River Jet Safaris Paradise Plates Disc Golf Tournament took place in Paradise Valley on Sunday 3rd of April, 2016. It was a dark and stormy night, when a disc soared out; kaching! 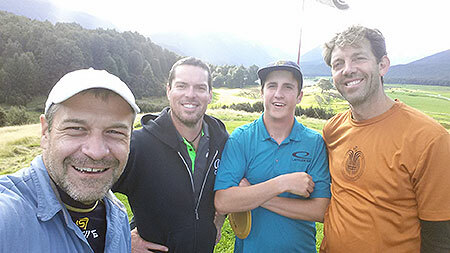 The Queenstown team was determinedly preparing for the 2016 summer tournaments. How would we follow up the enormous success of our previous year’s 20th Classic celebrations? Simple! Organise yet another fun filled weekend of southern hospitality, featuring two legendary courses in contrastingly beautiful surroundings, tons of prizes, lashings of disc golf, and two more evenings around thes famous Garden of Eden bonfire. On the weekend before the tournaments our well-oiled team nailed the Paradise course set up, with some slight alterations; creeping basketism! The Jaguar shed a small tear as baskets increased from six to nine, and the tree stump and vertical pipe targets went the way of the moa (no, not back to Germany ;-). 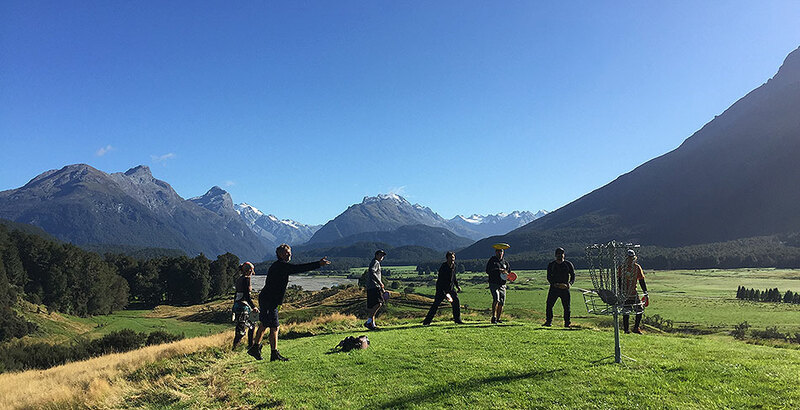 Publicity for the tournaments was well promoted through a timely Mountain Scene article, featuring a photo of James and Hemi presenting a certificate and pack of high-quality RPM discs to the millionth player on the Queenstown Gardens course. The article noted the contribution the course had made to the development of the game, both nationally and internationally. Despite numerous supplications, sun dances and sacrifices, the weather gods and goddesses were still mumbling to themselves prior to the weekend. It was therefore with some relief that Saturday dawned fair for the 21st Queenstown Classic. A goodly sized crowd of 53 players assembled, many of whom had preregistered, thank you. There were old hands and new, from the deep South and the far North, and from overseas. All were welcomed, ever increasingly detailed rules were explained and then play commenced. 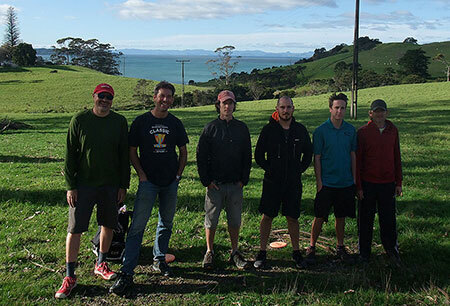 At the lunch break local champion Hemi Tuatara Te Awhitu, local wunderkind Ben Wasp Wiel-Lake, and perennial favourite Simon Falcon Feasey were all tied on 43 in the Open; 15 under par. Karl Kea Jolley was keeping one flap ahead in the Masters with a creditable 48, Dom Silver Fox Hayden was in front by a whisker in the Grandmasters with a 51, James Jaguar Smithells was growling at himself in the Senior Grandmasters over a bland 57, Hayley Hummingbird Flintoff was leading the Women with a 61, and Robyn Robin Agnew, Women Grandmasters, had her beak in front of all the other female players with a 60. A fine lunch was then munched. Prior to starting the seeded afternoon round there was a tongue in cheek complaint from Ben Buzzard Thomson, who said there wasn’t enough wind. He was advised to wait until the burritos kicked in! The second round produced some more fine golf in pleasant conditions. The Falcon soared above his competitors with a fine 46, to take out the Open. Mario got a top 47 to haul himself alongside Karl, with a sudden death play-off resulting in Karl taking his first Classic Masters title. Chris Tasmanian Devil Davies scored a fine 48, to dominate the Grandmasters. Although the Jaguar scored two strokes better, he wished he’d beaten himself by more. Alessa Schwarz was the most improved player, scoring a very good 51; 13 shots better than her morning round, to take out the Womens. Robyn robbed herself to take out the Womens Grandmasters. Hemi and Ben played off for both second and the Locals Bruce Grant Memorial trophy, with Hemi prevailing. Trophies and a treasure chest of prizes, assembled by Eran yet again, were then presented, rounding off an excellent day. Right, let’s get out of here and up to Paradise! 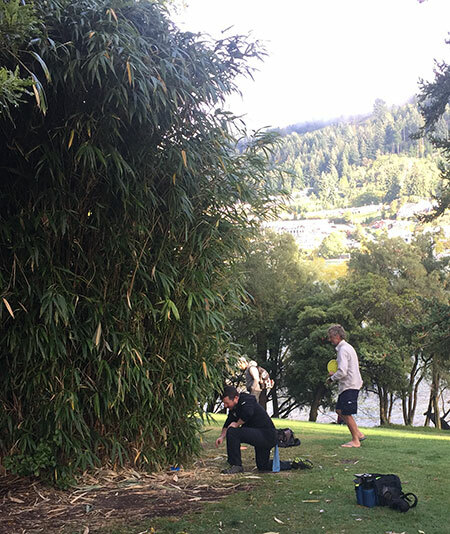 People found their accommodation, threw some practice holes, sorted dinner, then started migrating to the Garden of Eden fire. 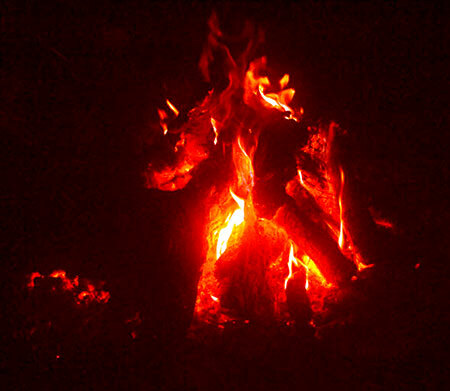 The usual fine and convivial atmosphere developed around the growing blaze. An excellent Jungle of Fame ceremony then took place, with everybody participating and many new animals announcing themselves. Josh the Screaming Sea Eagle certainly got into the spirit of it all! Several people were in full animal costumes and this whole whimsical scene took another big step forward. Overnight the weather deities were very unhappy, crying their eyes out on all the tin rooves. Although they were still sad in the morning, an hour of playing time was enough to dry up their tears and we spent the rest of the day in dry weather. Phew! 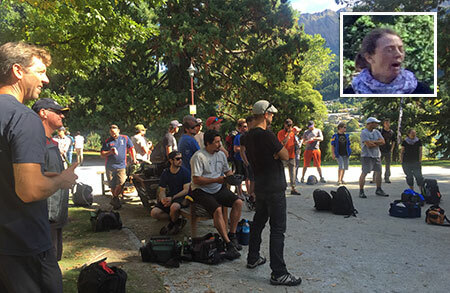 Forty six people turned up to compete in the 18th Paradise Plates Doubles, always a fun event. This was a very closely fought competition, with a five shot range covering over half the field, however Hemi and Simon put clear space between themselves and the rest with a superb 38; one shot short of the perfect birdie round. We won’t mention that they missed the biggest target! Akira Kuroe and Ben Wiel-Lake were the closest chasers on 43. In the Mixed Doubles, Kyle Killer Whale Martin and Hayley took this out with a fine 46. A leisurely lunch followed in fine weather. And so to the Singles; the third round in terms of Tour points. With this being the first year we’d held the Plates tournaments in early April, and daylight saving having just started, play finished with the day rapidly closing in. 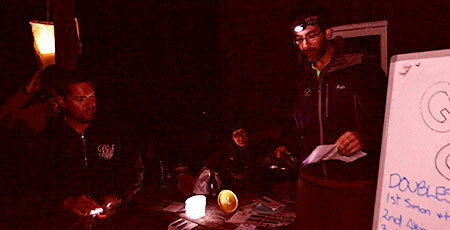 At least it was still dry, but prize giving was held in the dark. Paradise virgin, Patrick Zajac, soared out of the third seeded group to just nudge Hemi and Simon in the Open with an excellent 45. Mario Cerniar edged past Ed Waddington to take out the Masters. Dom completed the Classic/Plates double by winning the Grandmasters with a solid 50. James retained some respectability with a 54 in the Senior Grandmasters. In the Womens, Hayley dominated with a fine 54. Robyn robbed herself blind in the Women Grandmasters. And so ended the formal process of the weekend. 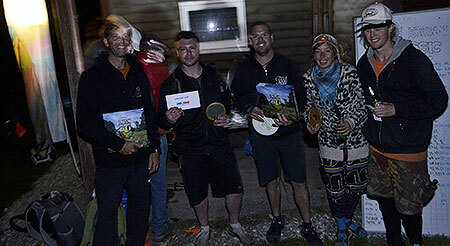 Contented players shuffled off into the dark with their trophies, prizes, and memories, with some returning to Queenstown but many remaining to share another enjoyable and relaxing night around a goodly fire. Next time we convene here will be for the 2017 Nationals, with this three day event promising to be something very special indeed. Watch this space… Thanks very much to the great Queenstown team who made this all happen and to everyone who made the effort to attend. 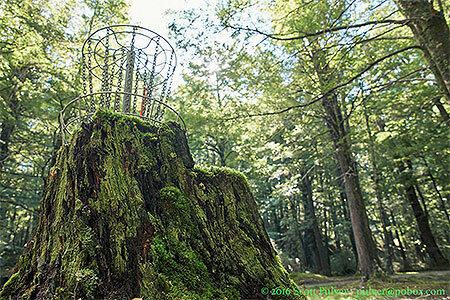 Stirling Moss - Disc golfers are privileged to be playing through this amazing forest. Ripples of Power - Kyle mid pull on the stoney tee. It's All There in Black and White - The top group for the second round of the Classic. Olli Alfred - Under the gaze of Mt Alfred is Ollie Simonsen as he drives on Hole 10. Carry the One - Evening scoring saw certain players extend themselves like never before. Riveting Players Meeting - As seen by the zoom shot, everyone was glued to James' greetings and salutations :o). Winners are Grinners - No bleak faces here, what a weekend! Room with a View - Waking up at Paradise is like... ...well, waking up at Paradise. 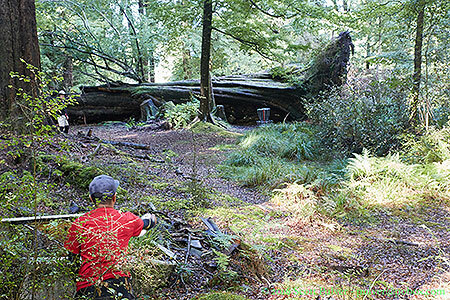 Fallen Feature - This huge tree may have tumbled to the forest floor many moons ago but it now lies proud as a backdrop to Hole 14, aptly named the Hobbit Hole (is that a small door? - ed.). 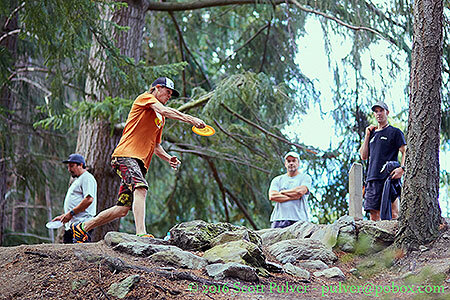 Elevated - From the tee on Hole 10 - "Arch Rival" at Paradise, Ben fires a trusty sidearm down to the target. Robin Lilley? - The South Island Robin was there to keep an eye on proceedings. Happy Chappies - Enjoying their time by the flagpole at Paradise. 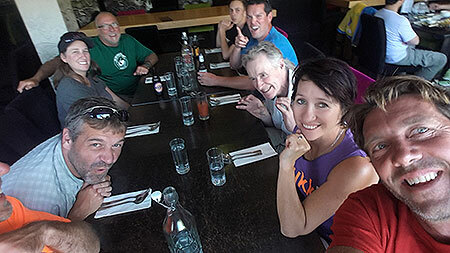 Last Supper - ...after Paradise. Bamboozled - One can almost hear the stand of bamboo chuckling as it consumes yet another disc. Everybody Act Natural - Base Camp at Paradise. Crouch, Engage - Looks easy - but it is not! The Speed of Sound - Ben Wiel-Lake attempts to leave Earth's atmosphere. Perfection - Creeping basketism on top of Paradise.